This hymn is evidently known by the official title “What Can Wash Away My Sin” (1876, Robert Lowry). It’s presumably for Tsimshian mission use, appearing on a manuscript page with another hymn in the “Tsimpshean” language. 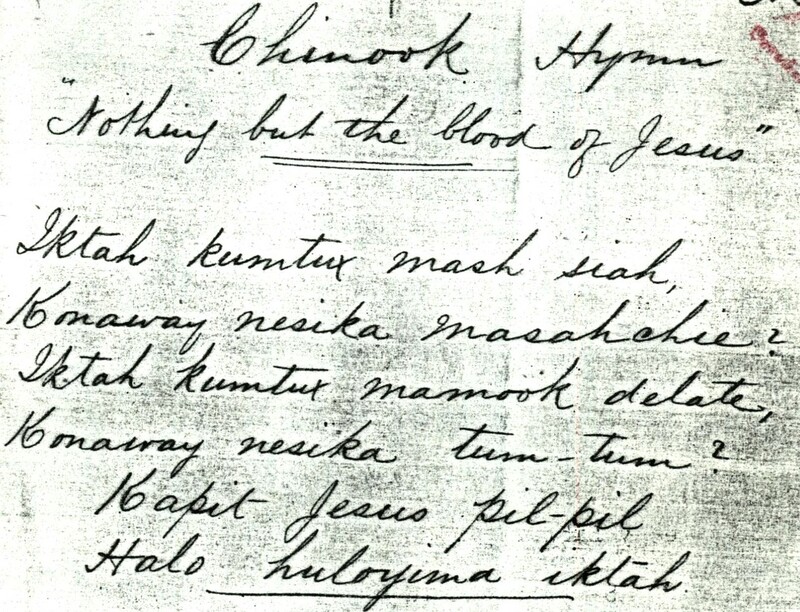 Do you have the Tsimshian hymn? and any info about it? email me if you don’t want it in your post, thanks.